Manchester United made their worst start to a Premier League campaign in 28 years this season. Jose Mourinho failed to control the atmosphere in the dressing room, as players were unhappy with how they were being treated. In December, Ed Woodward decided to pull the plug, and sacked the Portuguese boss after their 3-1 defeat to Liverpool. Ole Gunnar Solskjaer was brought back to Old Trafford, in an attempt to at least secure Champions League football for next season. The Norwegian gaffer has been impressive since his arrival, winning nine of the 10 games and knocking on the doors of the Top 4. He has also managed to convince Anthony Martial to sign a new five-year contract, whilst also sending Marouane Fellaini off to China. 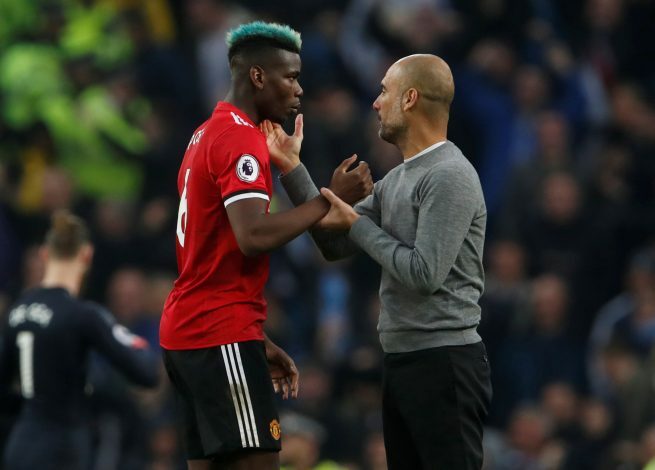 Before the season started, United’s goal was to cut down the 19-point lead that allowed Manchester City to win the Premier League title last season. The Red Devils have been able to bring it down to 11 points at the moment, but are far from mounting a title challenge of their own. However, City boss Pep Guardiola believes otherwise. The Spaniard recently stated that if the Red Devils continue their run and pick up victories every week, then they could very well be in the title race until the last day. According to him, the gap between the top six teams isn’t big enough to rule them out as contenders at this stage, and the competitiveness of the Premier League could bring some big upsets in the coming weeks. “I never said Tottenham was not there, nor Chelsea,” Guardiola admitted. “I never put out all five-six teams, and United is making this run of victories every single week, they’ll be there to fight for the Premier League. Mathematically speaking, Manchester United could still win the Premier League, if they are to win all their games and results across the country go in their favour. However, their participation in the FA Cup and Champions League will test their squad heavily in the following months, thereby making their challenge for the league title all the more difficult.